This is a Byzantine period (4th or 5th century A.D.) Synagogue. Excavations have reveled a first century (time of Jesus) foundation underneath this structure which is believed to be the foundation of the synagogue during the time of Jesus. This is one of many Byzantine period synagogues archaeologist have found in the Galilee. The historicity of the Biblical account of the Davidic Empire is currently the most controversial subject within the field of Biblical Archaeology. The debate is between two groups within Biblical Archaeology known as minimalist and maximalist. The minimalist take the position that if David and Solomon existed at all, they were merely tribal chieftains and the empire discribed in the Hebrew Bible was basically fiction. The maximalists, of course, take the opposite position, that the stories of David and Soloman are historically accurate and supported by the archaeological record. Most Biblical archaeologist lean more toward the maximalist position. The news media is reporting on the discovery of an ancient wall in Jerusalem by Eilat Mazar which may date back 3000 years to the 10th century B.C.E. This archaeological excavation is taking place in the area which lays between the Temple Mount and the City of David known as the Ophel. 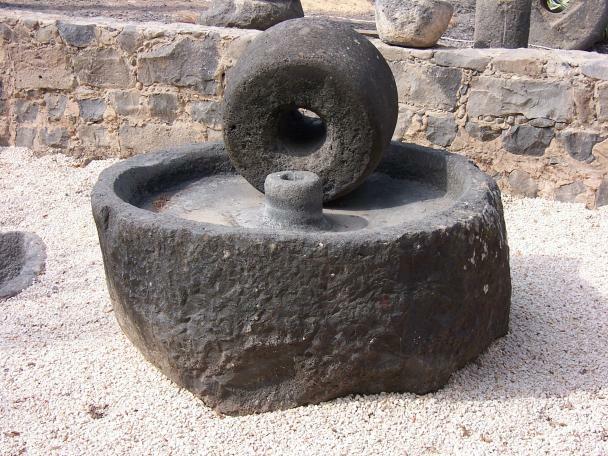 If Eilat's dating of these structures proves to be correct it will provide substantial evidence for the historicity of the Biblical account of the Davidic Empire. The city of Jerusalem is currently occupied and has been continually occupied for over 3000 years. Jerusalem has also been destroyed multiple times throughout its history. These facts have resulted in very few artifacts and features of the 10th century B.C.E, the period of David and Solomon, being excavated. Some archaeologist have interpreted the lack of major structures being excavated in Jerusalem dating to the 10th century period to be evidence that Jerusalem was not a capital city of a empire such as described in the Biblical account of David and Solomon. Welcome to Bible Land Studies Blog. 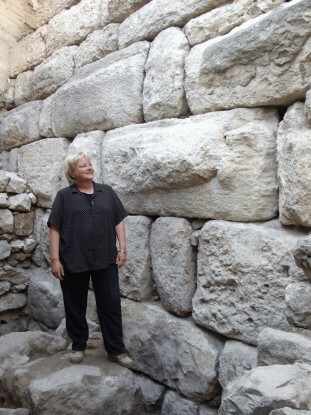 This Blog is to provide a forum to help inform the general public about current issues in Biblical Archaeology and it's relevance to Bible interpretation and understanding. If you have an interest in contributing to this Blog please contact Duane Patterson.